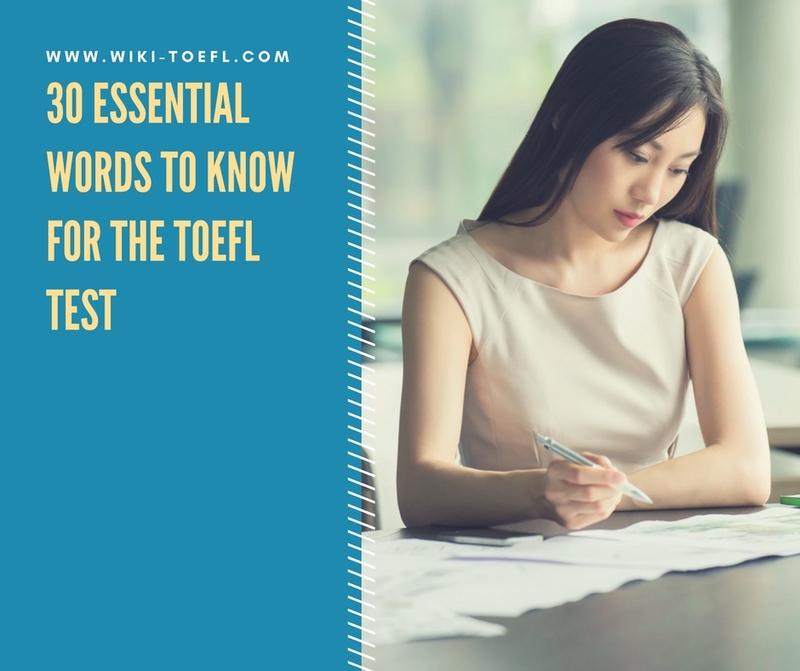 Why Is Studying Vocabulary Important for the TOEFL Exam? Just accept this fact now: The TOEFL will contain at least some words that you don’t know. Here’s why: As you study vocabulary words, each word will slowly become part of your working language. Think of this like a toolbox. Each word that you add becomes another tool that you can use for any task at hand. Whether you are working on the TOEFL reading test, the TOEFL writing tasks, or just having a conversation with a neighbor, you have a toolbox of awesome words to choose from. First, know that it will take time (and many study sessions!) for these vocabulary words to become part of your English toolbox. Our goal is not for you to memorize each word, but to be able to recognize and use it in context (or, when it is around other words, like on the TOEFL test). Max couldn’t wait for his class to end, because he was so hungry! He quickly packed up his books, said goodbye to his teacher and walked across the street to the deli. He ordered a turkey sandwich and chips, paid the cashier, and sat down to enjoy his lunch. Can you guess what a deli is? Deli (noun): food typically sold at a delicatessen, such as coldcuts, salads and pickles. Pretty close, right? And even better, by studying the word in context, you can quickly add “deli” to the toolbox of words that you can use. Learn words with entertaining FluentU videos. FluentU is an online immersion platform where you learn English through real-world videos. The program’s unique Learn Mode, multimedia flashcards and personalized vocab lists are especially helpful for learning TOEFL vocabulary in context. Try FluentU’s free 15-day trial today! Look for clues if you encounter a word you don’t know. As you are working on your TOEFL listening and reading skills, practice using context to understand new vocabulary words. What words around the vocabulary word can help you guess the meaning? Here are 30 words that you’ll probably see in the TOEFL test—in the prompts, passages, questions or listening sections. Jeff ate a considerable amount of ice cream. He couldn’t decide between chocolate, mint or strawberry, so he bought some of each. Once you learn English, you can interpret for your Chinese-speaking parents when you travel to New York. My teacher has a friendly attitude; she always says hello to me, smiles and helps me study. I estimate that we will arrive around 5:00 p.m., if we don’t get lost! The judge has the authority to decide the man’s punishment. I’ll demonstrate how to make cookies. First, we mix the ingredients, then we put it them in the oven to bake. The marching band will proceed through the street for the parade. The bridge was old and falling apart; it didn’t seem very stable! A generous man decided to contribute all of his savings to charity. The risk of losing my purse at this music festival is high, so I’ll leave it at home. Prior to the Internet, students looked up vocabulary words in big, heavy dictionaries. Maria felt the weather shift from warm to cool very quickly. One of the benefits of my job is that I get free snacks at work every day! The oil spill had a terrible impact on the animals and their environment. The teacher distributed a test paper to each student. The librarian challenged the idea that books are no longer important. My teacher will evaluate my speaking ability during the test. I’m so nervous! My former boss helped me to get a new job. Megan’s new boyfriend interfered with her studies. She spent so much time with him that she didn’t have time to do her homework. The leaders disagreed on the issue of global warming. Reinforced by a hot meal, I felt ready for the day. My cooking skills improved significantly after I took the cooking class. There was widespread excitement in the school on the day of the concert! The angry look on my mother’s face implied that I was in big trouble. The price of the movie ticket increased from $10 to $12. The teacher was very effective; all of her students did well on the TOEFL! My brother and I debated over what to eat for dinner. He wanted pizza, but I wanted sandwiches. The roof wasn’t able to sustain the weight of the heavy snow; it collapsed. The man couldn’t decide which presidential candidate to support, so he read about each of them. The seamstress measured her fabric for the dress. Keep practicing your vocabulary in context and adding words to your vocabulary toolbox. You’ll be glad you did on the day of the TOEFL test!